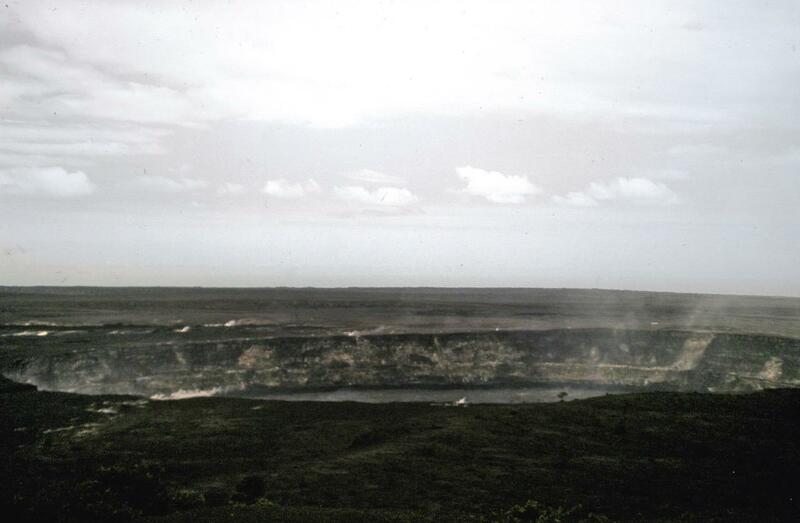 Forty-two years ago, I visited Hawaii for the first time, and the tour featured a stop at Hawaii Volcanoes National Park. 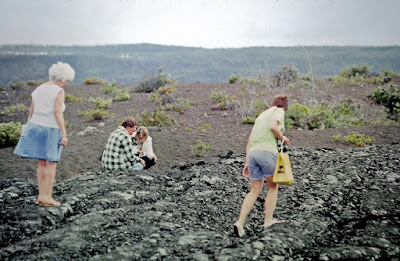 It was a desolate landscape, filled with lava fields and very little vegetation. It doesn't look anything like the images that are currently on the nightly news. Those living in the path of Kilauea's recent eruptions must be terrified. 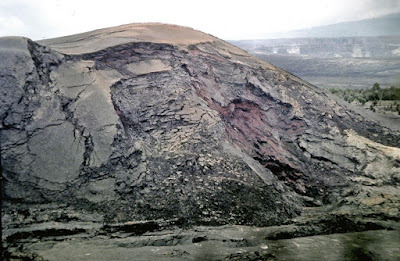 Not many people think about having a live volcano in their backyard. Do you? I live 240 miles from the world's largest supervolcano caldera in Yellowstone National Park and sometimes ponder the threat that it "could" present. The likelihood of an eruption is small . . . or is it? I have very similar photos from the same location in 2002. 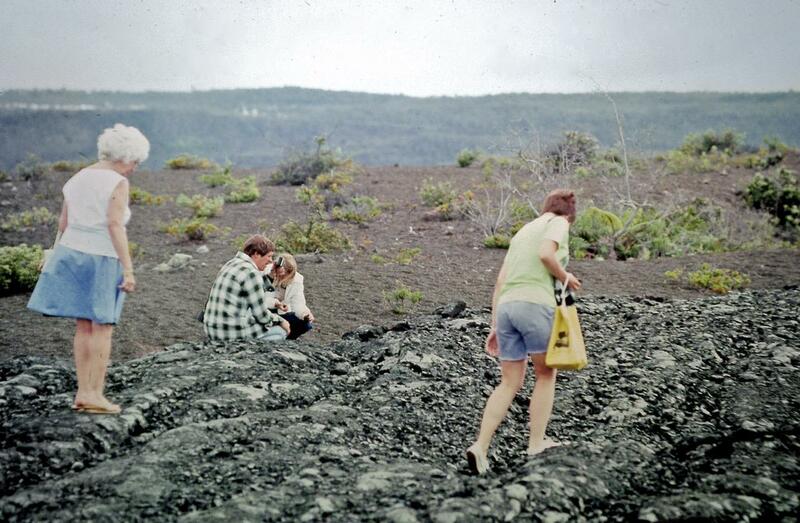 There had been a small eruption that summer and it closed a road we wanted to travel to actually see the lava flows. I can only imagine how things have changed this spring. I have been there too and it is hard to imagine it now. Steve and I were just talking about that the other day. It must be horrendous not knowing whether you could EVER come back to your home. OR, if you would ever want to. When we were there a few years ago, people weren't allowed to get out of their cars because of the fumes; I can't even imagine it now. We were here in WA when Mt. Saint Helens erupted and well remember that; one of our main highways south was affected even though it was a good distance away. I am just amazed at the footage coming out of Hawaii. I would be terrified. 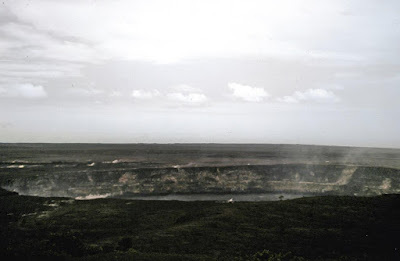 We flew over the Kilauea crater two years ago in a helicopter and watched lava flowing toward the sea. We also looked at a possible house for our retirement in Lelani Estates, the housing development that is being overtaken by lava. We were thinking of buying a home and renting it as a vacation home until we retire. So very glad we didn't pursue that dream. Yellowstone, well that's a whole different story isn't it? Some say it's on the brink of erupting and it would be the end of the U.S. as we know it. Other scientists say eruption is a long way off. Who knows which is right?